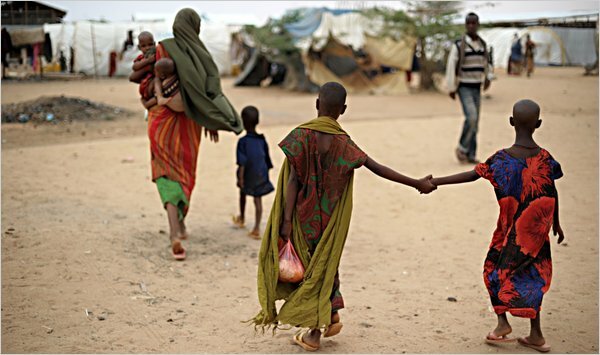 (Mogadishu, 31 August 2015): The results of the latest Food Security and Nutrition Assessment for Somalia, presented today in Mogadishu, indicate that the country’s humanitarian situation remains alarming. Compared to six months ago, the number of people who face food crisis or emergency increased by 17 per cent, from 731,000 to 855,000. The number of those in food-stressed situations remained at 2.3 million. The lack of improvement is due in good part to an early end of Gu rains, leading to below-average cereal production. In total, 3.1 million people require humanitarian assistance. Food insecurity is likely to worsen by the end of the year. This will be due to below-average agricultural production, poor rainfall in some pastoral and agro-pastoral areas, trade disruption in the most conflict-affected areas, and continued displacement. Additionally, the El Niño phenomenon is expected to prompt heavy rains and cause flooding along the Juba and Shabelle rivers, flash floods in parts of Galgaduud, Mudug and Nugaal in Puntland, and drought conditions in parts of Somaliland. This is likely to lead to disease, loss of crops and property, and to deterioration in the food security and nutritional situations. “We must continue investing in saving lives. We cannot allow a reversal in the important steps forward made on the humanitarian and development fronts”, said the Humanitarian Coordinator, “We must consolidate what has been achieved”.